“Bravely Second: End Layer” is a game in which friendships and family bonds are explored, a hero is miraculously brought back from death and the world bears witness to the end of time. It is also a game that lets you dress up as a cat during all of those scenes. Playing “Bravely Second,” a game exclusive to the Nintendo 3DS system, is largely about reconciling these two feelings. The game drops its first gut punch on you barely 10 minutes out of the starting gate, and by the time you finish the entire thing, you’ll need to check for abdominal bleeding. There’s no shortage of scenes that discuss serious issues, including parental abandonment, survivor’s guilt, betrayal and feelings of impotence. Deft strategy is a necessity, and total party wipeouts can be almost frustratingly common. And yet, even as the game tries to be very serious, the voice acting and dialogue is nothing if not melodramatic, which can make what should be legitimately moving moments unintentionally hilarious. It is hard to take dying characters seriously when their last acts are to flop around with all the grace of catfish. 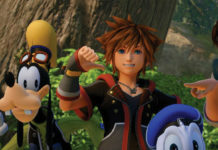 Likewise, players may start to question the characters’ urgency, when, in the middle of exploring, they call it a night and debate the appropriate amount of rice to eat with a meal. Though the plot improves in the late-game, the opening has been freeze-dried and microwaved from here to next Thursday. Agnes has been kidnapped, and it’s up to the main character, Yew, and three other friends to band together and save her with the courage of their convictions and the power of friendship. There are numerous plot twists, particularly later on, but many are so telegraphed that Samuel Morse could have written them from his grave. Where “Bravely Second” really shines is not in the plot, which is just above average, but in the innovativeness it brings to the turn-based RPG genre. “Bravely Second” allows characters to spend and accumulate turns in the form of a point system called BP, essentially allowing characters to perform multiple turns in a single turn. Attacking or healing costs BP. Not performing an action adds to your BP supply. Characters can even spend BP they don’t yet have, but if you ever have a negative supply of BP, you can’t perform any actions until the count reaches zero again. So if you spend all your BP and fail to take out an enemy, there’s nothing to do but watch as your irresponsibility gets your characters annihilated. Standard enemies usually don’t mess with BP, giving players time to tinker around and strategize. Bosses, however, have no such qualms, and actively utilize BP to make the player’s life a living hell. One boss makes your crew weak to fire, then comes at you with a fire-imbued gun. Another will put the entire party to sleep, then use a move that insta-kills anyone taking a snooze. Talk about a wake-up call — one moment you’re laughing at the hammy voice acting, and the next your party gets vaporized by a pissed-off boss. Game over. Needless to say, the crux of the game is learning how to use the BP system to your advantage. The “Dart” command, for instance, uses BP but enables a spell to be cast before any other actions are taken. Do you use it to pick off an enemy before it can do damage? Or do you use it to heal a comrade on death’s door? Do you wait until you’ve acquired enough BP to use it? Or do you take an advance on BP to use it now and pray you won’t be attacked in the meantime? That just scratches the surface of the tweaks “Bravely Second” makes to the turn-based formula. Most people are familiar with standard status effects, but “Bravely Second” gets creative, including afflictions that kill off characters when they reach full health (gluttony) and others that reduce a character’s HP to zero, but still permit them to use magic (ghosted). 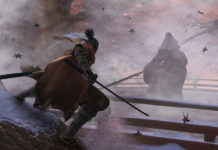 And the multiple ways the game integrates players themselves into the battles, as well as the plot, by allowing special moves to be transferred wirelessly from player to player, also deserve praise. The game also addresses the criticisms its predecessor, “Bravely Default,” received for the repetitiveness of the endgame and its long grind-fests. “Bravely Second” allows players to toggle enemy encounter rates, but also incentivizes battling by providing new information on enemies the more you fight them — often by giving you recipes to cook them with. Most prominent, however, is the ability to chain winning streaks together. Players who defeat a batch of enemies in a single turn can choose to fight a new set right afterward. The longer the one-turn win streak goes, the larger the money and experience multipliers get. 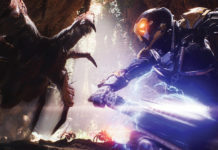 The catch is that any BP you use is not refunded, encouraging players to innovate new strategies to wipe out as many enemies as possible with the least amount of BP. Everything is topped off with an intricate customization system, artful breaking of the fourth wall, beautifully drawn landscapes and a memorable music score. The only fault is with the plot, which attempts to straddle the line between humor and seriousness but can’t quite manage it. 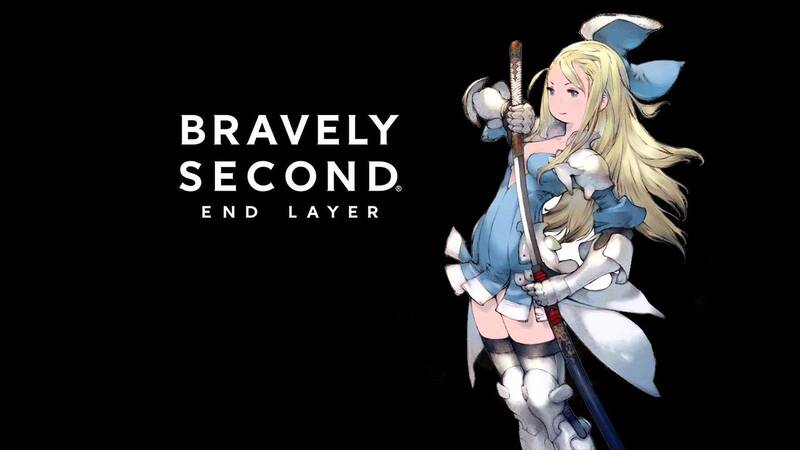 Perhaps “Bravely Second” is simply just not meant to be taken too seriously. Whatever the case, there’s no denying its gameplay is immersive, creative and intensely enjoyable. Also, as everybody should again be reminded, it can all be done while the characters are dressed as cats.